College football season is fastly approaching and everyone is gearing up to go. In the CIAA, Virginia State is the defending champ as Bowie State is the league favorite. Winston-Salem State is looking for its fifth CIAA title in eight years. And Fayetteville State is looking to prove why it is the favorite in the Southern Division. Last season in the CIAA showed us just how unpredictable the CIAA in particular and college football in general can be. But that won’t stop us from making predictions so here are the games to watch heading into the 2018 season. The Labor Day Classic (Virginia version) is happening again and NSU is looking for payback after last season’s defeat. NSU won the previous six games in the series until VSU won last year in a 14-10 thriller. Overall, VSU leads the series 27-20-1. On paper, this looks like a Divison II to FCS upset but the HBCU Football fans know the history between the two schools. “Big State (VSU)” vs “Little State (NSU)” is a phrase often used when talking about the rivalry. The battle has gotten hotter over the past few years since Coach Latrell Scott left VSU to go to NSU. VSU has still been rather successful since then. Although it’s a non-conference game, another VSU win will mean a lot to the CIAA. Pre-Season First Team CIAA RB Kerrion Moore is back for WSSU as it is are looking to get to the top of the CIAA. This game can be used as momentum or a tipping point for WSSU. VUU is looking for revenge after a close one point last season to WSSU that went down to the wire. Moore pushed WSSU with his 129 rushing yards and touchdown during last season’s matchup. The rushing game was on and might be on again this game because of VUU boasting two pre-season All-CIAA defensive backs in its secondary. Sterling Hammond and Quantaye Battle are those backs and they are looking to shut down WSSU’s passing game again. The Rams had 62 passing yards last season again VUU’s defense. Virginia Union will be looking to rebound after last season’s heartbreaking loss. Bowie State handed Winston-Salem State their worst loss since 2015 after last season’s 31-13 win on the road. It was actually BSU’s worst game offensively during the 2017 season but the Bulldogs left with a win. This game is a statement game for both teams. Bowie State is now the heavy favorite in the CIAA and looking to prove that 2017 was nothing but a start to their dominance. For WSSU, winning this game will increase their confidence as well as remind the league who’s really the most dominant football team. In terms of confidence, offensive competence will be tested in this game for WSSU. It’s simple, to beat BSU means that one’s offense has to be ready for a shootout with the Bulldogs. WSSU is coming off a season that their offense ranked 9th for total yards, 12th in passing yards, and 3rd in rushing yards. Yes, their running game is good but an air attack will be needed to come out of Bowie, Maryland with a win. Will the Rams air attack be improved? We will see. VSU climbed out to an early lead over BSU during last season’s homecoming game and claim bragging rights. We know that VSU went to win the conference because of this win but many people believed that Bowie State was the CIAA’s best team during the 2017 season. Former VSU RB Trenton Cannon won the CIAA’s offensive player of the Year. Many believe that BSU’s QB Amir Hall should’ve received the award after creating over 6,000 total yards of total offense. Cannon is now a New York Jet, but Hall went on to win the Black College Football Hall of Fame Player of the Year award this past season. Hall is a top HBCU QB for sure. His stats are untouchable. Besides its playoff loss to Delta State, VSU was the only team that beat Bowie State last season. VSU talked that talk and they are looking to prove it again. This is the CIAA Game of the Season on paper. The Northern Division will most likely be deiced by the result of the game just like last season. VSU QB Cordelral Cook and his Trojans will have to step up and replace Cannon’s offensive production, which will be no simple task. And for Bowie State, this is a proving game for them. 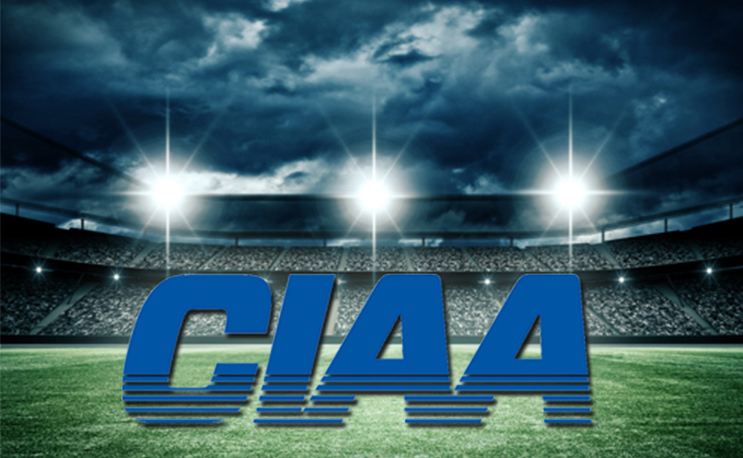 It’s top rival and only true roadblock to the CIAA will be on their own field. Will BSU find revenge or come up short as it has repeatedly in big games. Last season, St Aug’s 10 unanswered points in the 4th Quarter shocked WSSU and handed it a shocking third loss in conference play. Although both teams are chasing the favorite in the Southern Division, Fayetteville State; this game will be major in terms of division standings when things get tight down the line. The winner of this game will surely have leverage and even more, if Fayetteville State does not fulfill their expectations as favorites. FSU won its last three games last regular season by three points or less. The SAU game went on to determine the Southern Division, with FSU coming out on top. The win helped send them to the CIAA title game and was St.Aug’s only loss in the division last season after an instant classic. St.Aug’s outscored FSU, 17-6 in the 4th quarter last season but fell short. All CIAA Pre-Season RB Stevie Green ran for 176 yards and added two touchdowns for FSU. The game was a duel for sure as SAU RB Jeremiah Miller also had two touchdowns in the game as well. Both backs are returning and will be key factors in the game. Hypothetically, if Bowie State loses a game in the Northern Division and VSU loses one as well, this will be critical for the tiebreaker and standing purposes. Last Season, VUU lost by one point to VSU. VUU was a few points away from running their perfect conference record. This time away, VUU will be looking to once again put VSU on the ropes. Even if BSU is the Northern Division champions this time of the year, this game could play into VSU’s NCAA Playoff chances. VUU’s defense will be ready to go in this one. VSU’s offense without Trenton Cannon will determine their season and this game. On paper, this could be the Southern Division championship game. WSSU is predicted to finish second while FSU is predicted to finish first in this division. Last season, WSSU had a 22-13 lead coming into the 4th quarter. Just like the SAU game last season, WSSU again allowed their opponent to scored ten unanswered points in a close loss. This time around, the trip to Salem just might be on the line in the last regular season game of the season. Expect the winner of this game to go to Salem and represent the Southern Division. Is Saint Augustine’s the Sleeper of the South?